It’s autumn again, and with the new season comes some great opportunities to spend time outdoors while giving back to the community. This year Spacesmith and friends joined Open Architecture NY for their 5th Annual Day of Impact. Open Architecture’s Day of Impact is a yearly tradition where design professionals come together to improve communities and neighborhoods all over New York City. From community center painting to public park maintenance, it’s a great opportunity for architects and designers to give back to the neighborhoods we help craft. This year was Spacesmith’s fourth volunteer outing with Day of Impact. 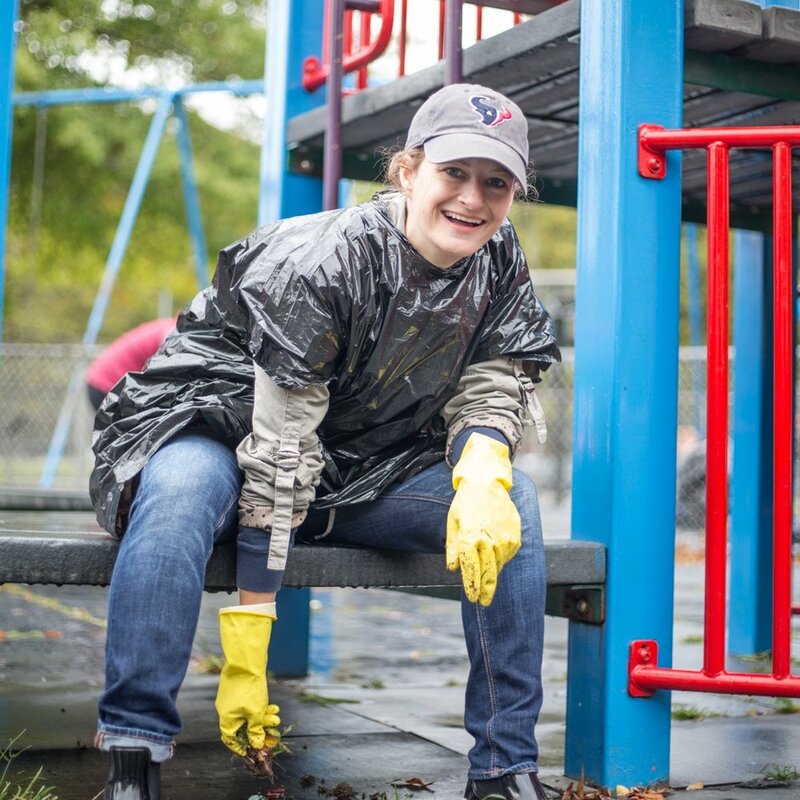 On Saturday, October 13th, Spacesmith-ers and friends, along with employees of several other architecture and design firms, headed up to Behagen Playground in the Bronx to lend a hand to help re-beautify the park. Though the day started with less than ideal rain, the weather quickly cleared up. Using improvised tools (the rain prevented us from the planned painting) we went about weeding, raking, and generally clearing debris from the playground and accompanying basketball courts. The early morning shower actually ended up working in our favor, making pulling up weeds just a little bit easier. After several hours of work the results speak for themselves. Overall a damp but rewarding way to spend a Saturday morning. Hope to see you there next year! Congratulations to a successful day of team work with Open Architecture NY!